It seems like all I can think about lately is spring fishing and hiking and seeing bears in Cades Cove with my wonderful sweetheart. We saw a mamma and three cubs the other day! This little cub has the right idea! 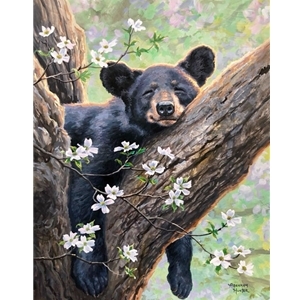 Climb to a comfy branch and doze away in the warmth of spring! I can’t wait to be like this cub when the weather gets better.